Providing quality training on transgender identities and policy support for educators, administrators, school staff, and students is critical to ensuring a thriving community for all. A policy can allows students and school staff alike to have clarity in the inclusion and affirmation of transgender students. However, ongoing training is needed to ensure the success of the policy. Educators, administrators, and school staff should be aware of transgender and gender expansive student issues in order to be supportive, responsive, and culturally competent. Many schools and districts find holding a comprehensive workshop on transgender student issues for their administrators, educators, and school staff (together or separately) is important to truly begin the work of supporting transgender and gender expansive students. From there, ongoing training is useful to be built into regular professional training offered in a school, district, and IU. Listed here are well-established resources that provide professional education on transgender youth issues in Pennsylvania schools. The organizations and experts are listed with their general service areas. The Pennsylvania Youth Congress proudly offers comprehensive transgender education programs for educators, administrators, school staff, and students. Focused on the issues facing PA schools since 2011, PYC is the first and only agency available statewide for LGBT-related trainings in Pennsylvania.Does your community want to learn more about issues facing LGBT students? What are the current laws and polices which impact LGBT students in Pennsylvania? PYC regularly provides introductory, intermediate, and advanced trainings on LGBT student issues throughout the commonwealth. PYC trainings are conducted by professional youth staff. PYC staff are veteran trainers who have facilitated numerous workshop sessions at high schools, colleges, and universities throughout Pennsylvania. We custom plan each session to best fit your objectives. To inquire about a training please complete PYC’s online request form here or email info@payouthcongress.org. The Bryson Institute of the Attic Youth Center offers dynamic, interactive, and educational trainings around best practices for working with LGBTQ individuals. From social service and health care providers, to faith communities, to schools, our goal is to improve the climate and support systems for LGBTQ youth in their everyday environments by fostering understanding, imparting knowledge, and providing strategies for creating safe and affirming environments. From one hour to full day trainings to multi-day sessions, the Institute creates an environment where dialogue can begin about how to create caring, compassionate and accepting communities, whether in schools, youth-serving agencies or the workplace. To request a training or for more information please contact brysoninstitute@atticyouthcenter.org. The Mazzoni Center’s Ally Safe Schools Program was launched in 1997 at the invitation of the School District of Philadelphia. The program works to create safer, more welcoming, and inclusive environments for LGBTQ youth in city schools, as well as provides professional development and training for all school district staff in regard to creating a safe learning space for ALL students. To request a training or for more information please contact Natasha Wirth at nwirth@mazzonicenter.org. Become one of the hundreds of schools, community centers and universities to properly address the unique needs of transgender youth by inviting Dr. Michele Angello, clinical sexologist and transgender specialist to your institution. Dr. Angello’s informative approach will enhance relationships between staff and students, with the intent of bringing parents and communities together. Dr. Angello is dedicated to offering community services that enrich the scholastic, community and medical experiences of transgender youth. If you are interested in being on the cutting edge of educational diversity, invite Dr. Angello to educate your staff and become one of the growing number of trans positive educators and professionals in the country. To request a training or for more information please visit her website here. 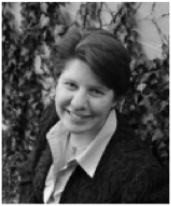 Dr. Jeanne Stanley is a licensed psychologist, national trainer, published author, consultant, adjunct graduate faculty member and former director of graduate counseling programs at the University of Pennsylvania. She provides trainings and consulting for school districts and private schools on sociocultural identities, with a focus on transgender and gender expansive students. She was awarded the Outstanding Educator of the Year Award from the University of Pennsylvania’s Graduate School of Education. She is known for her engaging and knowledgeable presentations and trainings. 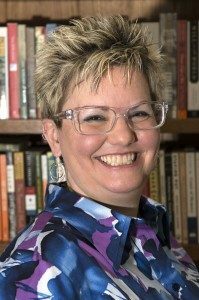 Dr. Stanley’s research has resulted in several publications in scholarly journals and books and she is currently co-editing a book for APA on Teaching LGBTQ Psychology in schools, communities and academia. To request a training or for more information please visit her website with Watershed Counseling & Consultation Services, LLC, here. THRIVE of Southwest PA was founded in 2015 as a community organization supporting LGBTQ students throughout Southwest Pennsylvania. Are you interested in providing appropriate resources for LGBTQ students? Would you like to create an inclusive learning school or classroom? To request a training please contact THRIVE through their website here. 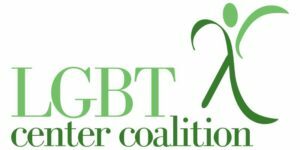 The LGBT Center of Central Pennsylvania offers a full range of staff development programs for educators, administrators, human service agencies, mental health care providers, and other professionals. From individual consultations to small group seminars to full-day workshops, we provide a flexible curriculum on creating a safe space for LGBTQ people including multiple topics like sexual orientation, gender identity, bullying and harassment, and legal issues. For more information, contact Louie Marven at 717-920-9534 or lmarven@centralpalgbtcenter.org.